Parents United for Healthy Schools brings together parents, educators and community leaders to raise a strong and united voice for health and wellness in Chicago’s schools. Together, parents are making Chicago schools healthier places for all students. Parents United for Healthy Schools is a leading force in creating healthy school environments through organized parent leadership. This parent-led movement advocates to create a better future for all Chicago children by working together with schools to create healthy environments that support student learning. Healthy Schools Campaign convened parents in 2006 out of a growing concern for the skyrocketing rates of childhood obesity in Chicago and the growing health disparities in our city. The Parents United approach involves empowering parents to make wellness a central part of the home, school and community experience. 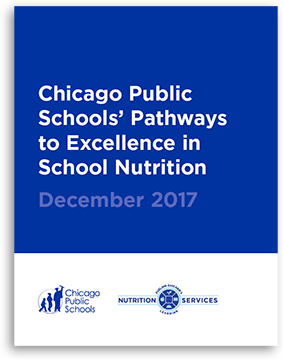 Parents gain the knowledge and skills to develop strategies and organize school wellness teams to support health-promoting changes to food and fitness in schools. Parents United recently released the Parents’ Practical Guide for Healthy Schools / Guía Práctica de Padres para Escuelas Saludables, which brings together many of these strategies and resources for parent leaders. 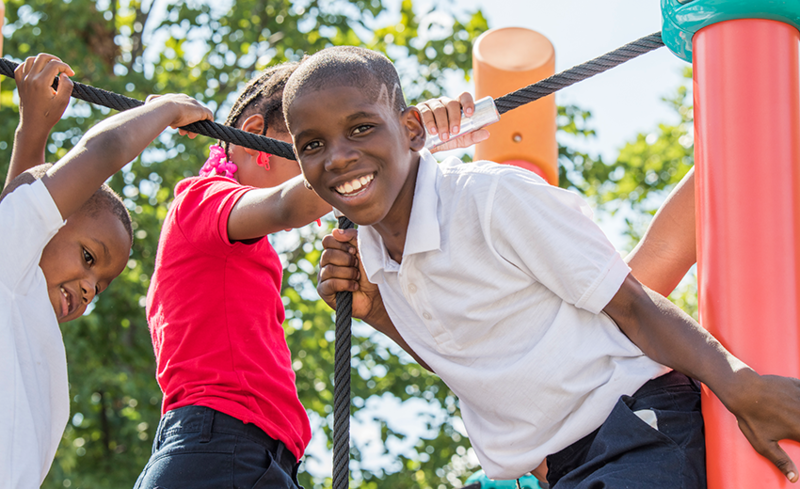 The coalition has been instrumental in advocating for nutritious school food, breakfast in the classroom, daily PE and recess, and overall changes that support student health and wellness at individual schools. Through Parents United for Healthy Schools, parents are leading efforts to make health and wellness a central part of the school experience. Parents are also using the knowledge they gain to make healthy changes at home and within their communities. Healthy schools are critical to children’s overall health and academic success. A nourishing breakfast and lunch, a healthy classroom environment and a chance to run and play all contribute to a child’s ability to focus, learn and make the most of their school experience. We need to speak up about health disparities that exist in Chicago schools. Chicago students, especially those in low-income communities of color, face significant health disparities that can get in the way of learning, such as higher rates of obesity, asthma and Type 2 diabetes. African-American and Latino students face especially striking disparities. Healthy school environments can make a difference in addressing these issues and supporting students’ learning and lifelong health. Working together, parents can transform school environments. Parent voices are powerful. Parents United members advocate for change by developing their knowledge and skills, working with school-based wellness teams and becoming leaders at the school and district level. These parents are making an impact in Chicago and earning recognition across the country. You can learn more in the Parents’ Practical Guide for Healthy Schools / Guía Práctica de Padres para Escuelas Saludables, created by Parents United to highlight strategies and resources for parent leaders. Parent Leadership Institute: A series of trainings on health disparities; research connecting health and learning; relevant local and national policies; and developing skills and strategies for creating change at the school level. Parent Summit: A one-day gathering to celebrate successes and discuss new and ongoing strategies. Principals’ Breakfast: An event that brings together parents and principals to share effective strategies and learn from peers. Quarterly Meetings: Regular gatherings where parents discuss citywide issues and plan actions for the months ahead. We invite you to be part of this important effort! Join Parents United to share your perspective and learn about ways you can take action to support health-promoting changes at your school. Email Guillermo Gomez or call 312-419-1810. The White House. Parents United program manager Jovita Flores was recognized by the White House as a “Champion of Change” for her work promoting healthy schools and students in Chicago. Jovita was one of only 11 leaders recognized from across the nation. Cook County Board of Commissioners. Cook County Commissioner Jesus “Chuy” Garcia and Cook County Board President Toni Preckwinkle co-sponsored a 2012 resolution honoring Parents United. When they presented the resolution, the board moved to have all members unanimously co-sponsor the resolution in an even stronger show of appreciation for the parents’ work. HSC’s model for parent engagement is providing a framework for parents across the nation to combat health disparities and speak up for school wellness from a social justice perspective. Health and wellness policies and programs must be shown to work at the school level before broader systems change can take place. Parents are well positioned to work with their schools to make this happen. Parents are key constituents for schools. Organized parents are the political power base for all of HSC’s work in Chicago. Parents are an important link between school, family and community, a connection that is essential if we are going to successfully address childhood obesity. Parents United builds on the HSC-led National Institute of Environmental Health Sciences-funded Partnership to Reduce Disparities in Asthma and Obesity in Latino Schools. In this four-year project, HSC had the opportunity to work closely with two community-based organizations to support their efforts to educate and organize parents. Partnerships with community organizations that have strong ties to their communities as well as the capacity to engage parents in dialogue and action on these issues. Opportunities for parents to learn about and participate in healthy lifestyle activities, experiencing the benefits of wellness first-hand. Providing parents with the knowledge and skills to be involved in their local schools and in broader policy efforts. Talking about health and wellness in the framework of social justice, particularly in communities facing significant health disparities. Through this project, HSC and partners provided leadership development opportunities for parents in low-income Latino communities. Both community organizations recruited hundreds of parents and engaged parents in a range of education and skill-building activities around food and fitness. First the community partners engaged parents in dialogue about health and education, making the connection between lifestyles, health and their children’s readiness to learn. Then, given the parents’ interests, the groups provided programming that introduced parents to healthy lifestyles on an individual level and included activities such as nutrition education, community gardening, exercise programs and cooking classes. At the same time, community partners engaged parents in dialogue about the importance of the school environment and involved them in advocacy work around the CPS wellness policy. Parents went on to assume leadership roles in their schools and communities, leading local schools to make significant and lasting change for health and wellness. Parents led changes that included hosting nutrition education and exercise classes; introducing recess to their schools; winning improvements in school cafeterias including healthier food options and salad bars; and mobilizing more than 700 parents to attend a rally encouraging the district to adopt its first wellness policy. This series of milestones, particularly the city-wide parent rally in 2006, led district leaders to recognize that parents in low-income communities care about student health and wellness and were ready to organize to win improvements. This built a strong foundation for parent advocacy that continues today. Many of the citywide policy campaigns that HSC has led were built on issues identified by parents, and parents served as key spokespeople for those campaigns. Peer-to-Peer Parent Engagement. Parents often initially get involved by attending cooking and exercise classes that allow them to learn about health issues from peers, and then broaden their perspectives to address issues facing their families, schools and communities. While the dialogue includes issues of personal responsibility, it emphasizes the social and political structures that have created barriers to health, and issues of health disparities. Parent Knowledge and Skills. Providing parents with the knowledge and skills that they need to become champions for change in their schools and community is central to this work. At the heart of HSC’s program is a four-day parent leadership institute focused on knowledge and leadership development. Parent Advocacy. Parent voices are powerful in advocating for change both at the school and district level. Parents have organized rallies, collected thousands of petitions and spoken at Chicago Board of Education meetings — all as part of successful efforts to change policies related to school health. Parent Leadership. Parents United provides opportunities for parents to be leaders in their children’s schools, at the district level and within HSC. After becoming involved with Parents United, many parent leaders have gone on to run for local school councils (elected bodies that govern local schools in Chicago), and integrate health and wellness into the overall goals and operations of the school. HSC’s parent empowerment program uses a popular education framework based on the work of educator and philosopher Paulo Freire. The learning process starts with participants’ own personal experiences, and uses a social justice frame to build on that knowledge and develop a common understanding and plan of action. Parents are given the opportunity to share their own experiences, build a common understanding and create an action plan. Once parents are involved, they engage more parents and begin the empowerment process with an ever expanding group of parent advocates. Parents also provide leadership for HSC’s parent program, serving on the steering committee that meets regularly to plan and establish priorities. Sustainability is a key part of the cycle: experienced parent leaders mentor new participants who are then empowered to become leaders themselves. We are pleased to release this Parents’ Practical Guide for Healthy Schools. This guide was developed with the input and advice of experienced parent leaders who have successfully created change for healthy eating and physical activity in their schools. These parents’ experiences and the lessons they have shared form the foundation of this guide. With this guide and the ongoing support of Parents United, you are well-positioned to raise your voice for health-promoting change at your school. Children in Chicago’s Latino communities face staggering rates of asthma and obesity. The consequences of these health disparities can shape the children’s health and well-being for a lifetime. In West Town, approximately 65 percent of children are overweight or obese. In Little Village, that number is close to 58 percent. (This compares with a national average of 26 percent.) The numbers are similarly disproportionate for asthma, which in West Town affects nearly a third of all children, more than twice the national average. The Partnership to Reduce Disparities in Asthma and Obesity in Latino Schools was designed to empower parents and community members to bring about changes in school environmental health and wellness so that children will have the opportunity to live healthy, successful lives. This publication defines and describes parent engagement and identifies specific strategies and actions that schools can take to increase parent engagement in schools’ health promotion activities. The audiences for this publication include school administrators, teachers, support staff, parents, and others interested in promoting parent engagement. Each of these audiences has different but important roles and responsibilities related to garnering support for, and implementing, these strategies and actions. A sample letter of communicating a healthy celebration to parents, guardians and staff. In an editable Microsoft Word template.